With our mailbox forwarding services, your mail and packages are delivered to a secure mailbox location that's a real street address. 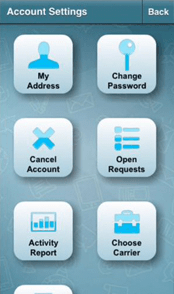 View and forward postal mail with our app or online! Use our Digital Mailbox technology to forward business or personal mail to any address and to discard or shred mail you don't want. 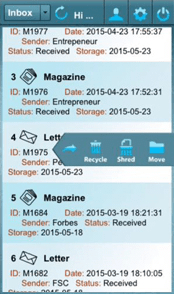 Request a scan of mail content to view as a PDF or store in the cloud. The USPS provides a very basic mail forwarding service that many families and businesses use when they permanently move or are away for weeks or months at a time. When you file a change of address form with the USPS, your local post office will forward First Class mail at no additional cost to a pre-selected second location, once a week for a limited time. The mail forwarding address cannot be changed once set. You can select from hundreds of real street addresses at professional pack & ship stores or executive business centers in prestigious office buildings where your mail and packages will be received. 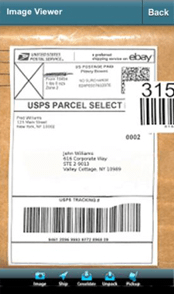 You can receive mail and package deliveries from any carrier. You’re able to forward mail and packages to as many different addresses as you like, when you want, and using the carrier and level of service that best meets your needs. You view and manage your mail and packages with an app or online, and you choose exactly what you want to be forwarded. You can see real-time shipping prices, consolidate packages into one box to save on shipping, or scan mail content to receive a PDF in your digital mailbox within hours. You can discard unwanted mail. Our Online Mailbox Forwarding Service is Perfect for Business or Personal Mail and Packages. 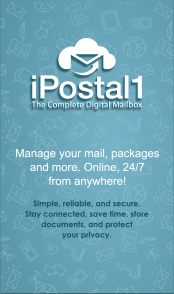 How does iPostal1's mailbox forwarding service work? The mailbox forwarding service from iPostal1 comes with Digital Mailbox technology that allows you to forward mail and packages on demand, to any location, with the carrier and level of service you prefer. Choose a mailbox address, starting as low as $9.99 per month, from over 700 in all 50 states and other countries. All are real street addresses and secure locations, including professional pack & ship stores and prestigious office buildings. View the outside image of each mail item in your Digital Mailbox, and with just a tap or a click communicate to your mail center what you want to do with each item. Forward only the mail you want, when and where you want, to as many different addresses as you like. Discard unwanted mail. 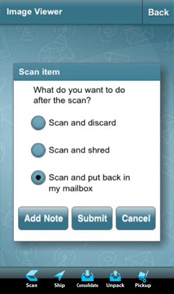 Request that a letter be opened and the content scanned to get a PDF in your Digital Mailbox within hours. When you forward mail or packages, see real-time shipping prices for all the options available. Consolidate mail and packages into one bundle or box to save on shipping. Set up addresses in your Digital Mailbox for easy and quick forwarding. Get reports on all mail received, requests submitted, and the status of each item. Choose the Mailbox Forwarding Plan that is best for you!